HSBC has strengthened its corporate banking team in the West Midlands with four new senior appointments. Markus Keller has been appointed deputy head of corporate banking for the Midlands and Claire Brunning is the new head of corporate banking for Birmingham. Joining them is David Ramsden as head of corporate banking for the North and South West Midlands and Emma Hallam as deputy head in the same team. In their new roles, the quartet will lead a team of corporate banking specialists in delivering bespoke, relationship-led services to support the growth of the bank&apos;s customers in the Midlands. 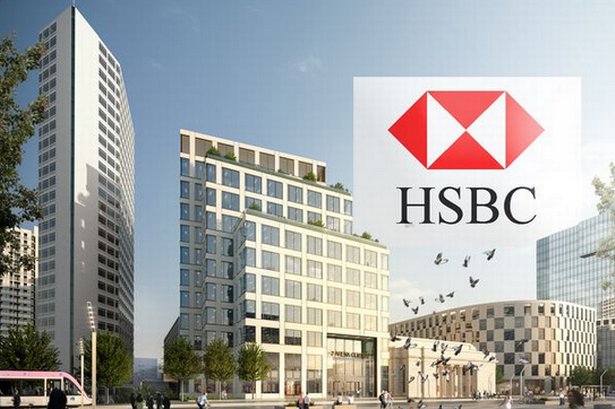 HSBC UK is relocating from London to Birmingham&apos;s Arena Central development in Broad Street and is due to take up occupancy in the new building early next year. Gary Burton, regional director of corporate banking at HSBC, said: "Markus, Claire, David and Emma bring unique skill sets and the right financial knowledge to our growing team in the Midlands. "Over the years, HSBC has been committed to supporting customers and helping businesses in the region to grow and finance their international trading needs. "These appointments continue HSBC&apos;s strong investment in the region, which includes the move of its UK headquarters to Birmingham, and follows a period of strong business growth. "The Midlands is one of the fastest growing regions in the UK and as such we&apos;re heavily investing in people in the region to keep pace with the ambitions of local businesses and professional communities."